Fat: such a little word evokes big responses. While ‘fat’ describes the size and shape of bodies, our negative reactions to corpulent bodies also depend on something tangible and tactile; as this book argues, there is more to fat than meets the eye. Fat: A Cultural History of the Stuff of Life offers a historical reflection on how fat has been perceived and imagined in the West since antiquity. Featuring fascinating historical accounts, philosophical, religious and cultural arguments, including discussions of status, gender and race, the book digs deep into the past for the roots of our current notions and prejudices. Three central themes emerge: how we have perceived and imagined obesity over the centuries; how fat as a substance has elicited disgust and how it evokes perceptions of animality; but also how it has been associated with vitality and fertility. 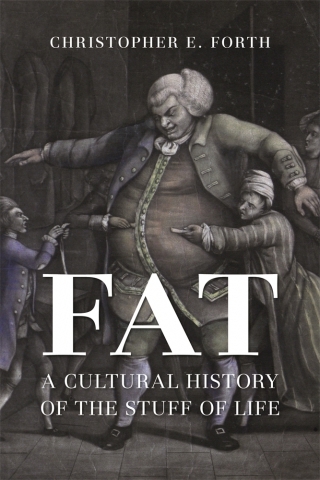 By exploring the complex ways in which fat, fatness and fattening have been perceived over time, this book provides rich insights into the stuff our stereotypes are made of. Christopher E. Forth is the Dean’s Professor of Humanities and Professor of History at the University of Kansas, and the author of several books including Masculinity in the Modern West (2008).